Adapteva’s Parallella low cost open source hardware “supercomputer” is a board powered by Xilinx Zynq-7010/7020 dual core Cortex A9 + FPGA SoC and the company’s Ephipany epiphany coprocessor, that’s had a successful Kickstarter campaign in 2012 as the 16-core version sold for just $99, and is capable of handling applications such as image and video processing, and ray-tracing, and also comes with an OpenCL SDK. The board was fairly difficult to source after the crowdfunding campaign, and one the common complain of backers was the board had to be actively cooled by a fan. 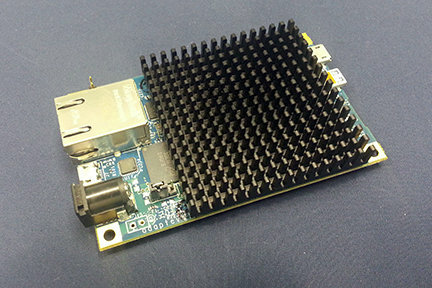 The company has fixed both issues by increasing slightly the price, and redesigning the board so that it can be passively cooled by a larger heatsink. The board will sell with the heatsink and a power adapter. If you have one of the boards from the Kickstarter campaign, or boards purchased before the 10th of July, you can’t go fanless by just replacing the fan by the new heatsink, as it won’t fit. Parallella-16 Desktop computer is available now for $149 on Adapteva shop, and in a couple of days, it will be on Amazon US. The Microserver and Embedded versions will be available in a few weeks. You can read the announcement on the company website, where you’ll also find some interesting projects (videos) that have been done so far by the community of developers. According to xilinx site zc7020 does not have any GTP. Thanks! I read the wrong column there…. And 1GB of RAM is a little short. What are the “eLinks” used for? Could they be used for adding e.g SATA ports? No not fast enough. 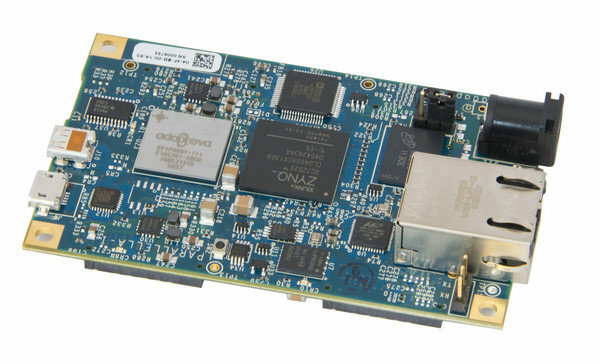 Just useable to connect to FPGAs and other Epiphany chips.